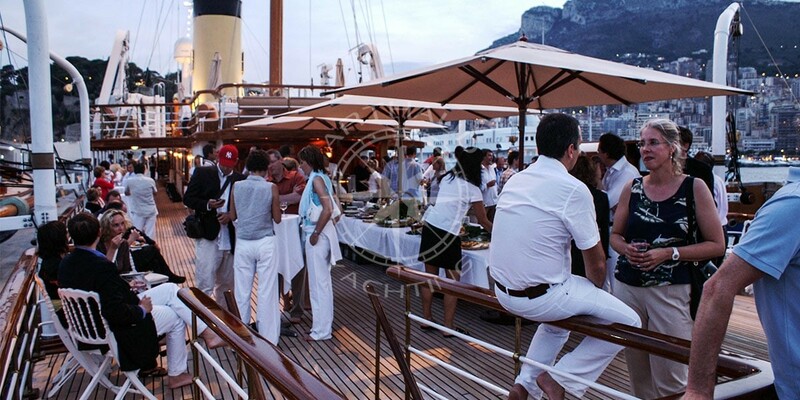 Rent a yacht for private & corporate quayside events in the south of France to welcome your clients/partners in style. Moor your yacht in the famous port of Monaco, or in the Old Port of Cannes, and take advantage of being only 2 minutes away by foot from the Palais des Festivals. Charter a yacht and welcome your guests on-board for any occasion, including business lunches, cocktails, seminars, product launches, weddings, Mipim, the Cannes Film Festival, the Monaco Grand Prix, Cannes Lions, Mipcom, Tax Free, Mapic, and more. 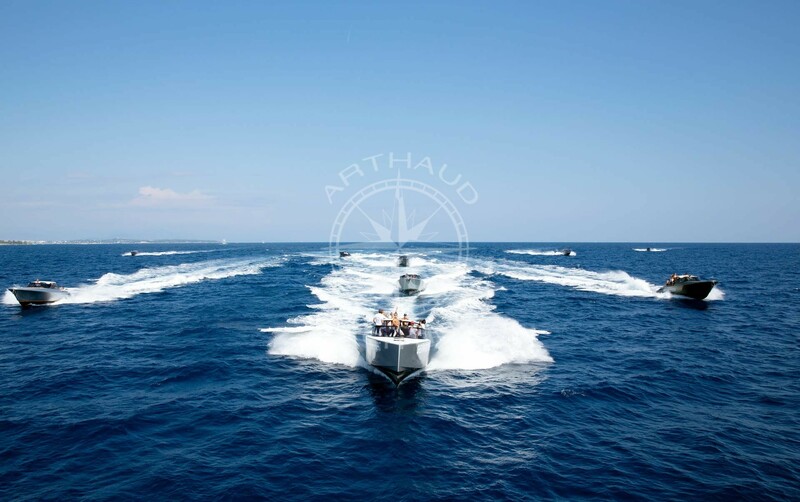 Arthaud Yachting, your nautical partner is at your disposal and in charge of taking care of all the organisational details to guarantee the successful outcome of your project. 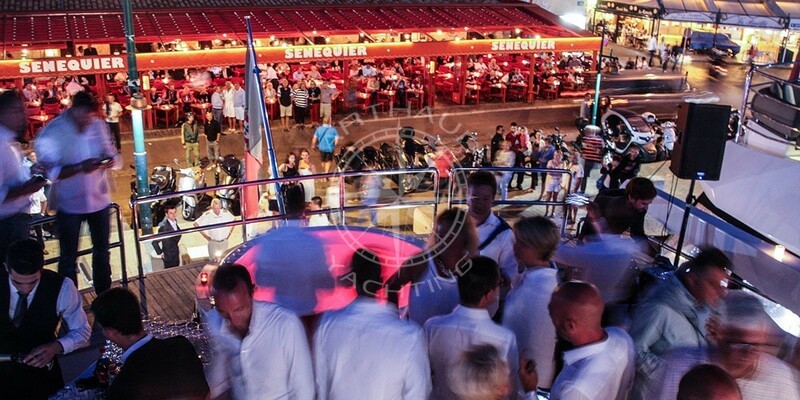 Harbour bookings, lunches, dinners, decoration, carpet protection, banners, quayside tents, hostesses, transport, and DJ. We are here to make your imagination come to life. Rent a yacht for an unforgettable experience. Much more than accommodation, these floating palaces will guarantee you a relaxing stay. Experience a comfortable and enjoyable time on-board, our professional crews are at your service morning to evening, and will to tend to your needs to ensure that your stay is pleasurable. Let yourself be pampered and take pleasure in savouring the various culinary accomplishments of your personal chef on-board. Feel like inviting your clients to a more private and confidential meeting space? Make use of one of the many saloons on-board and let the crew serve you a warm cup of coffee whilst you talk business! Charter a yacht for a memorable, convenient experience and save on the costs of hotels on the French Riviera, whilst enjoying a luxurious setting. Maybe this overview has tempted you to enjoy an excursion at sea? 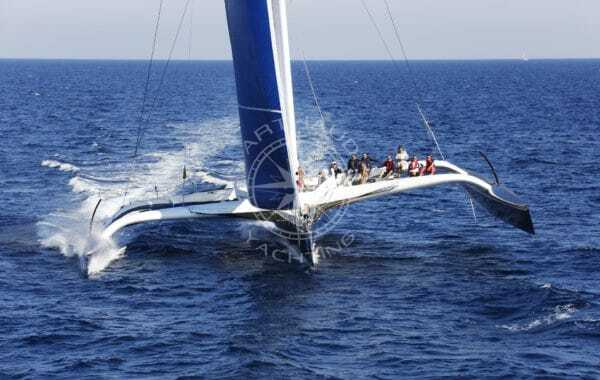 Working with Arthaud Yachting is a real pleasure. The yacht, Hutiane which we occupied for a week was a true wonder, both thanks to the quality of the service and the kindness of the crew. 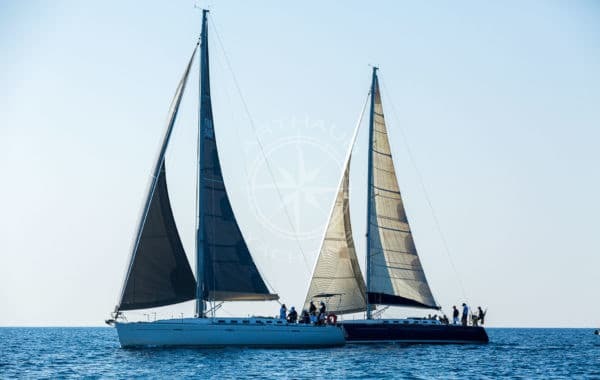 Fiona and Hugo, our dear brokers from Arthaud Yachting were highly vigilant and always available to put at our disposal, with smiles and good mood, professionalism and magic throughout our entire stay during the CANNES LIONS 2018. I’m happy to recommend your broker services to anyone who asks. Our entire week in Cannes was better than we could have hoped, and that was truly due to your and the crew’s tireless efforts. I could not have asked for a better team to help us through our first Cannes yacht sponsorship! Thank you again for everything. To Fiona and Hugo. I just want to let you know what great days we had with you while we are in Cannes. We had such a fun time while we are there. Thank you for a truly great experience. 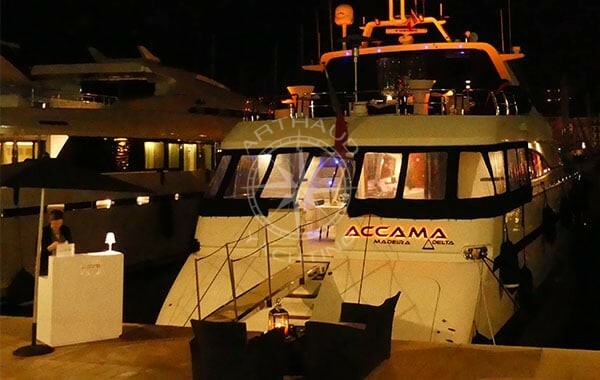 We were delighted with our event aboard the Accama Delta! Arthaud Yachting and the crew of the boat lived up to our expectations and knew in record time to imagine the ideal evening for us. Our customers keep a memorable memory of this cocktail in an extraordinary place ! Arthaud Yachting have given us great service, before, during and after the show. The people are hands-on, so no surprises. Icing on the cake has been to add a sailing trip with a dinner at sea which was highly appreciated by our customers and ourselves. The crew was also excellent, great service & food. Thanks team and see you next years. 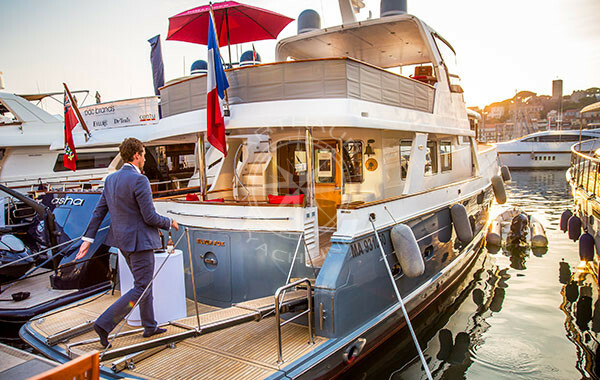 Arthaud Yachting have given us great service, before, during and after the show. The people are hands-on, so no surprises. Icing on the cake has been to add a sailing trip with a dinner at sea which was highly appreciated by our customers and ourselves. The crew was also excellent, great service & food. Thanks team and see you next years. 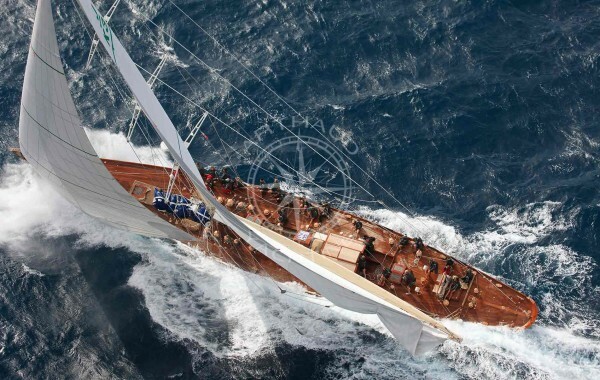 Arthaud Yachting, Hugo and Fiona have been amazing in all aspects of making our project on Lady Jersey become reality. Very easy to work with attention to detail. Able to accommodate last minute requests. I would recommend them 100% to anyone. Looking forward to more projects together! Thank you once again for all your wonderful assistance in making the day of yachting with our guest a success. Fiona & Hugo are amazing hosts and would not visit Cannes without their expertise. We had a full schedule throughout the entire week of Cannes Lions and every event and meeting went flawlessly due to them. I highly encourage any group putting on client events in Cannes to work with them. Great collaboration with Fiona and Hugo. We had to change many things at the last minute and we finally had everything done ! Vervece boat was a very good suggestion and the crew was very nice. See you next year for a new generation of craziness. The Lady Jersey itself was a great, classic style yacht for our first foray into sponsoring at Cannes. We look forward to returning to Cannes next year and having another fantastic week with you as our broker! A first class private venue on a yacht. Proximity to the strategic centres: Palais du festival de Cannes, airport, etc. Mobility of the yachts & the wide diversity of possibilities. 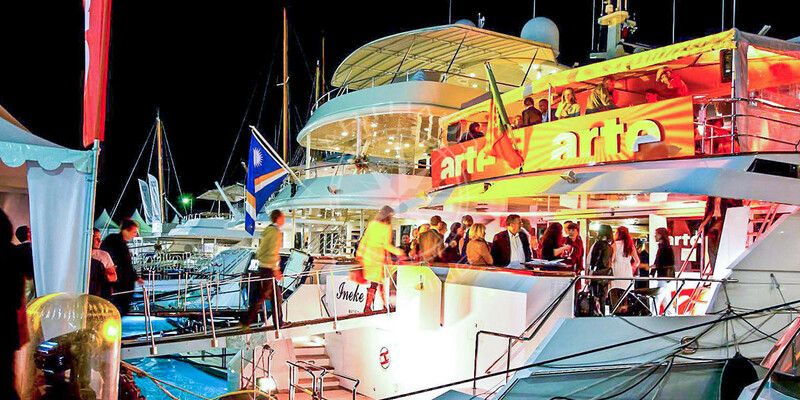 Hosting a soiree on-board your yacht charter in Cannes is an ideal way to allow your guests, colleagues and clients to get to know each other, and develop relationships whilst enjoying a bubbly glass of champagne. 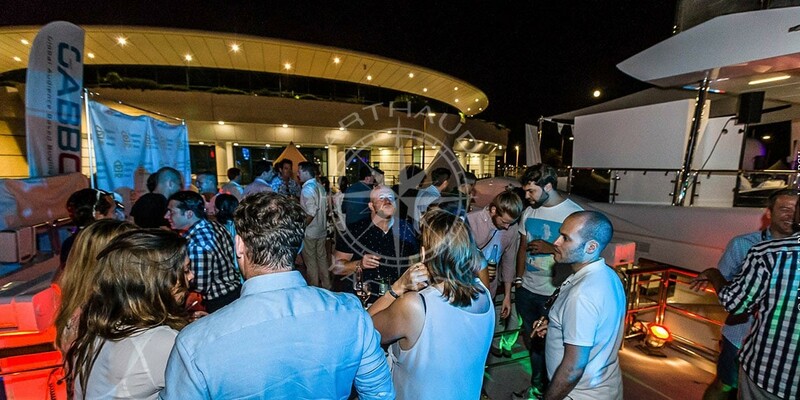 Arthaud Yachting is your ultimate partner to advise you and guide you in the organisation of your yacht event, our services encompass all the skills required to host an event on-board your yacht at sea or at quay side for a memorable cocktail party or gala evening. 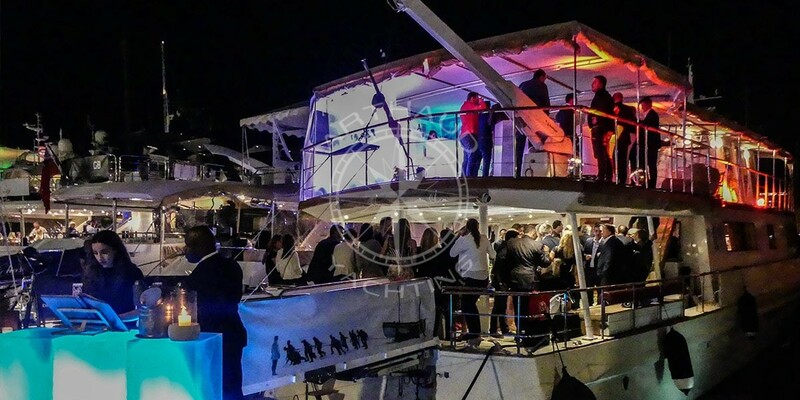 Organise your seminar on-board one of our many yachts on the French Riviera, and impress your collaborators or clients by hosting the yacht event of the year. 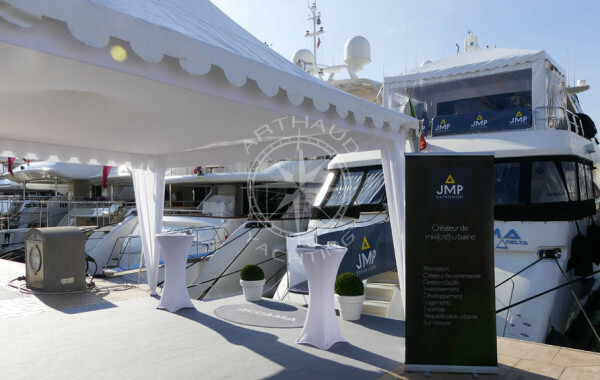 Make your yacht THE PLACE TO BE during one of Cannes’ legendary trade fairs by seeking the help of our Arthaud Yachting specialists whom will make it their priority to deliver a yacht event worth making a buzz. 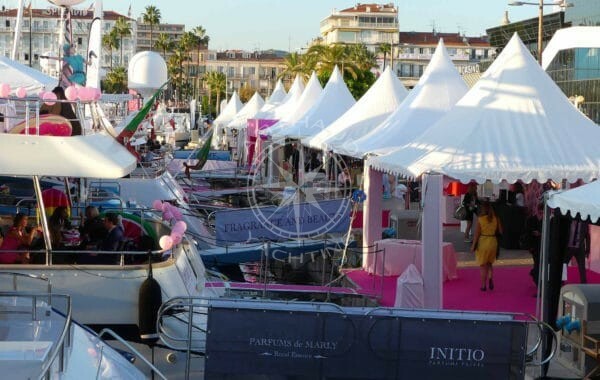 Branded quayside tent, branded banners, customized cushions, company colours, customized M&M’s, the possibilities are never ending to organise your yacht event in accordance to your company standards. 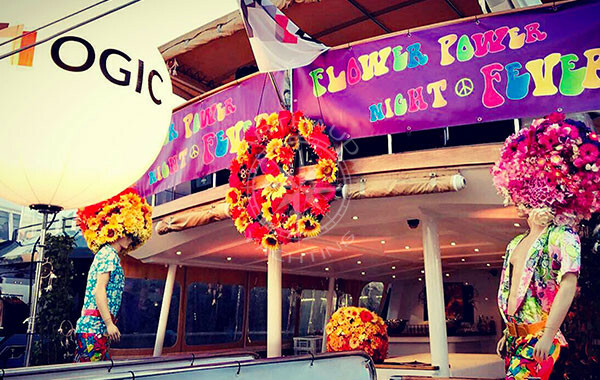 Our team specialise in the organisation of yacht rental events and nautical activities, and are able to organise cocktail parties for groups ranging from ten to three hundred people! Our experienced team will propose to you a selection of yachts to charter on the French Riviera, and will provide guidance so that you can choose the perfect yacht for your event. Ranging from 10m to 100m, from classic gentlemen yachts to the latest modern yachts, our fleet is varied and suitable for any types of projects, and any types of requests. Contact us with your requirements, ideas, budget and desires, and a refined selection is then proposed to you so that you can find a suitable match. 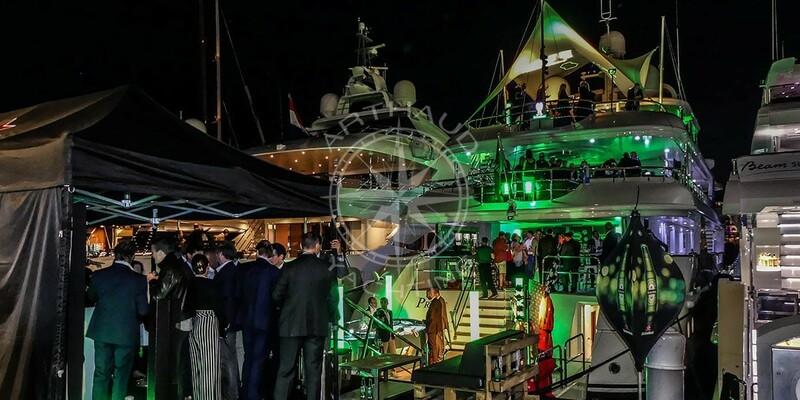 Charter a yacht with our yachting event agency based in Cannes, and let us share our competences and knowledge with you in order to organise a yacht event appropriate for your company; corporate evening, gala evening, cocktail party, product launch. Anything is possible if you just trust us to convert your ideas into tangibles. Corporate evenings are usually a key part of your stay on-board a yacht as they enable your colleagues or your clients to come together and share an unforgettable moment with one another whilst enjoying a culinary experience, and witnessing astonishing performances. Make your collaborators feel right at home, and customize your yacht at the image and colours of your brand, distinguish yourself and host your corporate cocktail parties on a prestigious yacht whilst completely immersing your guests; your event will be a success guaranteed in a pleasant atmosphere, where the sense of solidarity and team spirit will have no choice but to be reinforced! 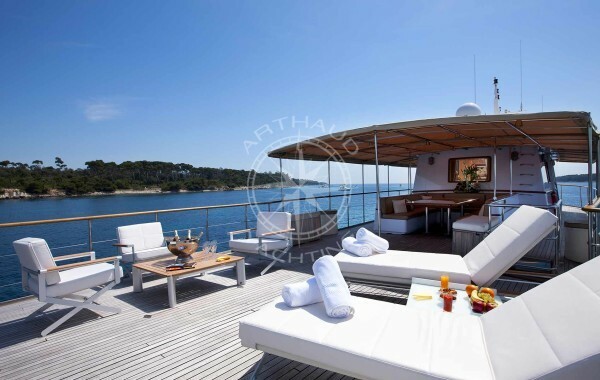 Arthaud Yachting organises high class yacht events, to ensure an effective turnout for your VIP evenings. 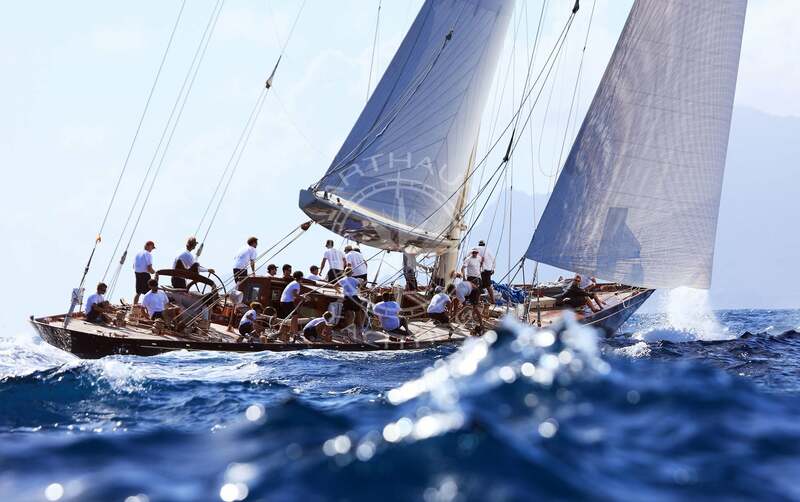 Our Arthaud Yachting team delivers all projects at the image of our reputation; our propsed nautical activities and events are carefully tailored to suit your requirements and are always managed from beginning to end by our professional and qualified advisors. By putting at your disposal our skills and knowledge, and by sharing our network along the French Riviera in Nice, Monaco, Saint Tropez or Cannes, we are able to make your wildest ideas become reality. Organise your yacht event in the one of the French Riviera’s famous harbours, anchor your yacht charter in the Saint Tropez harbour at the foot of the Citadel and amaze your guests and bystanders with your lavishing, glamourous event; or organise a yacht event during the Monaco Grand Prix at the heart of one of the biggest Formula 1 races known worldwide. Enjoy a selection of artistic performances and innovative shows to obtain memorable moments during your stay on the French Riviera, which you will forever share with your team and collaborators. See our full range of yachts for hire here in our yacht rental section or contact us directly for more information. 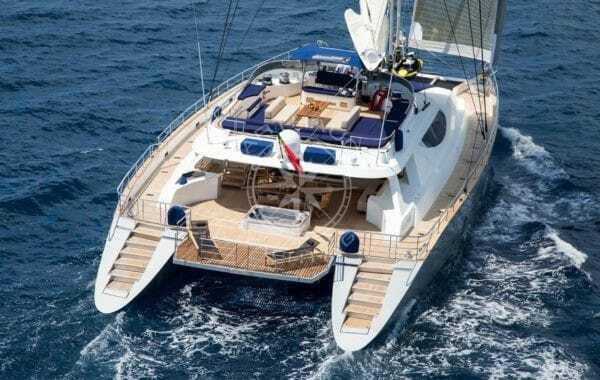 Your partner for your charter and nautical events on the French Riviera, Monaco, Nice, Cannes, St-Tropez and Marseille.